The Vancouver Condo Buzz » Lower Lonsdale WALLACE & MCDOWELL North Vancouver Condos for Sale near Waterfront & Lonsdale Quay/Seabus! Built Green Gold Standards and North Shore View Residences for Sale! « SPECTACULAR PROJECT! The Amazing Brentwood Burnaby Condo Master Planned Community by Shape Properties located at the Brentwood SkyTrain Station > Massive Burnaby Amazing Brentwood Development Launching! Lower Lonsdale WALLACE & MCDOWELL North Vancouver Condos for Sale near Waterfront & Lonsdale Quay/Seabus! Built Green Gold Standards and North Shore View Residences for Sale! 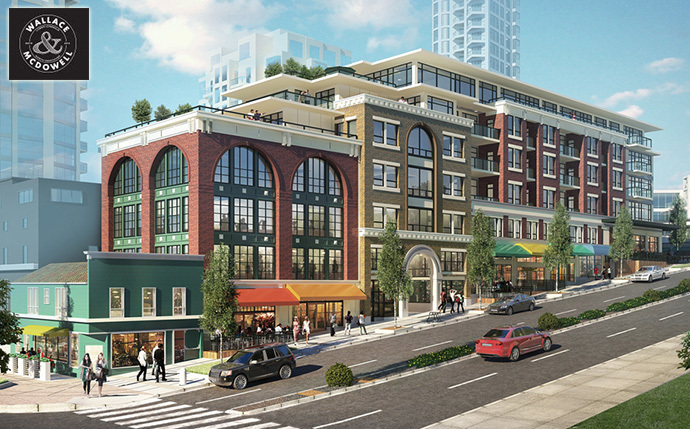 Be a part of the Lower Lonsdale North Vancouver waterfront heritage! 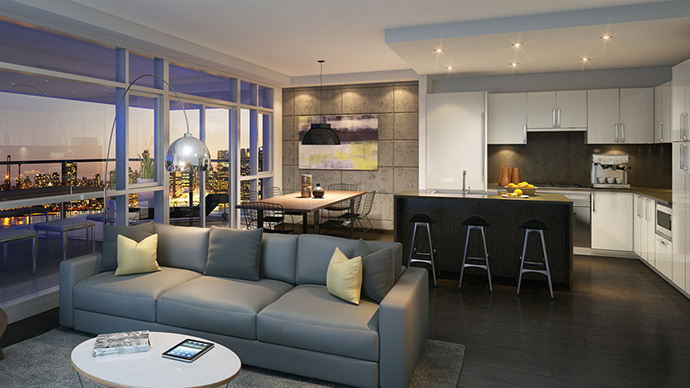 The new North Shore Wallace & McDowell condo project features modern design and heritage roots. A heritage community with a distinctly contemporary feel, Wallace & McDowell North Vancouver condos are located in the heart of the historic neighbourhood of Lower Lonsdale. 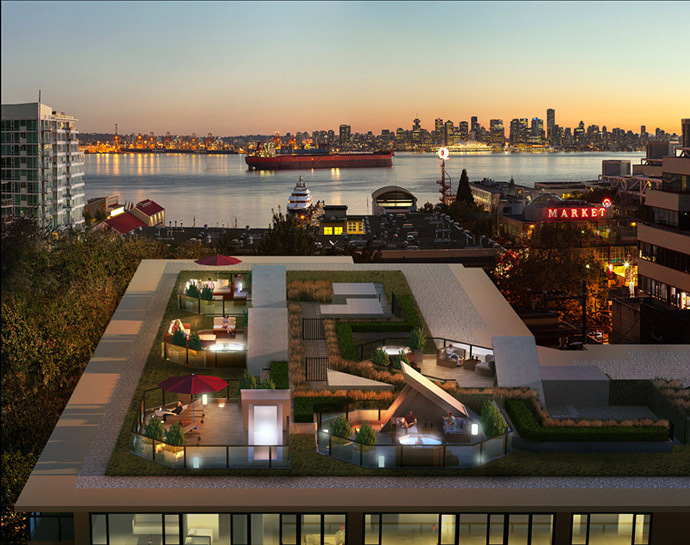 Featuring concrete construction and unique design options that seamlessly pay tribute to our North Van roots, this is the newest and most highly anticipated Lower Lonsdale apartment development in 2014. And it’s coming soon to North Vancouver! The project site location is at 149 Lonsdale Avenue North Vancouver BC. Concrete quality construction with arched windows and over height ceilings are signature features here. A warm and inviting environment that feels like your home. Designed to Built Green Gold standards and 3rd party certified, the Lower Lonsdale North Vancouver Wallace & McDowell Condos will be energy efficient, environmentally responsible and healthy homes all wrapped into a 2-5-10 home warranty for your peace of mind. From the amenity garden with cultivated green spaces to an interior breezeway dubbed The Mews at Wallace & McDowell, these building features connect indoors and outdoors and creates a liveable community for all residents. For more information about the presales North Vancouver condos at Wallace & McDowell in Lower Lonsdale, please visit their web site at www.wallaceandmcdowell.com to register your interest today! The development team for this project includes: The Staburn Group developers, Rositch Hemphill Architects, Portico Design Group, Ventana Construction and Pacesetter Marketing. 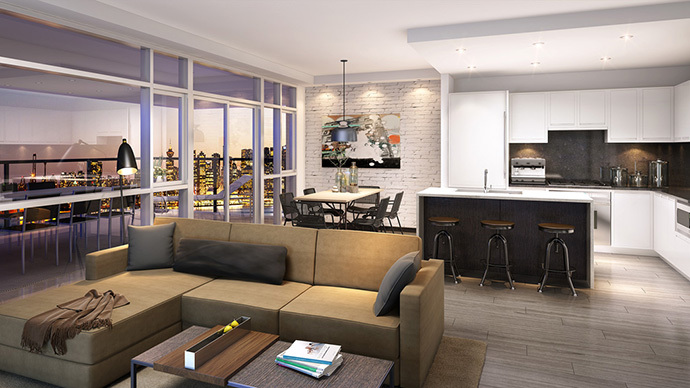 If you are looking for a high-end home at an affordable price in the Lower Lonsdale North Vancouver district, the Wallace and McDowell condo project is a great option for you! There are 3 different design themes put together by award winning Portico Design Group that includes: Shipyard, Heritage and West Coast. All three reflect the heritage past of the community and will feature amazing options like textured plank floors, stainless steel appliance sets, brick or concrete tiled featured walls and standard over height 9.5 foot high ceilings. There are optional kitchen islands at these standard North Vancouver Wallace and McDowell Lower Lonsdale condos with a pull out dining table and multiple storage options that include lockers, secured bike areas and unique end of stall storage rooms. Here are other standard features here at the presale North Shore condos at Wallace and McDowell in Lower Lonsdale. 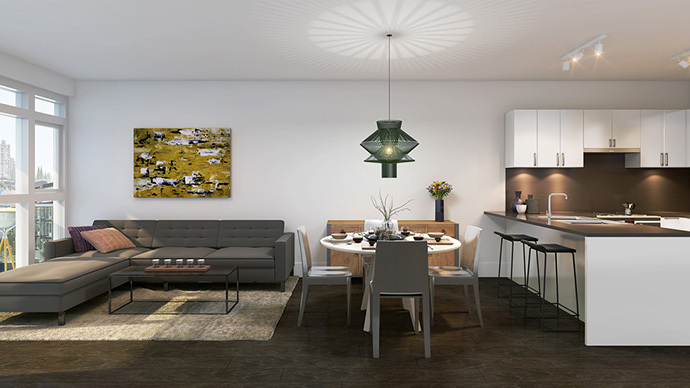 The spacious floor plans range in size between 575 square feet to over 2,000 square feet with over 25 unique layouts for home buyers to choose from! There’s wide plank laminate floors in the main living areas, porcelain tiled flooring and expansive windows with custom roller shades. The gourmet kitchens include polished quartz stone counters, fixed kitchen islands with seating for three people in select homes and other floor plans afford optional islands with slide out dining tables! The presales North Vancouver Wallace and McDowell condos for sale will also feature Fischer & Paykel stainless steel appliances, a Panasonic microwave, 30” Faber hood fan and Bosch dishwasher. All homes also come with a front loading Whirlpool washer and dryer in a laundry closet. The beautiful bathrooms at the Wallace and McDowell Lower Lonsdale condos for sale include polished quartz counters like the kitchens, NuHeat radiant electric floor heating system (may be an optional upgrade – see sales staff for details), linen closets, comfortable minimalist soaker tub, porcelain tiled floor and walls and under counter sink with designer single lever faucet. The Luxury North Van Wallace & McDowell Platinum Series Homes! For North Shore home buyers looking for an even higher level of luxury, The Platinum Series of residences at Wallace & McDowell Lower Lonsdale condos will feature only 11 premium, 2 and 3 bedroom homes, all with generous living space, large terrace decks and exceptional finishes. The three design packages have been upped another notch with over height doors and windows to 10 foot ceilings on the Wallace and McDowell penthouse level. As well, these premium North Shore homes will have Wolf and Sub-Zero kitchen appliances (standard features!) and fresh air only air conditioning. The homes will also have 2 parking stalls! 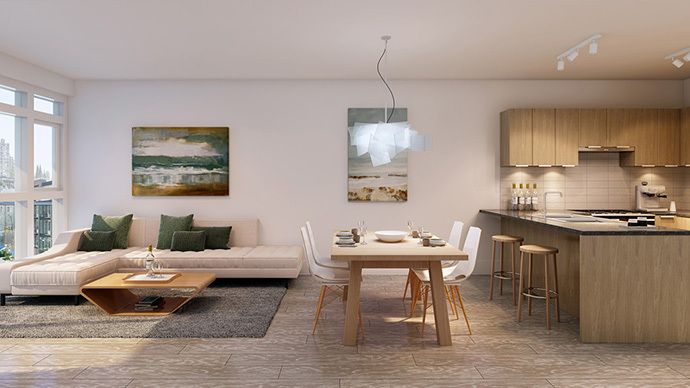 Other impressive premium features at the North Van Wallace & McDowell Platinum Series Homes include natural gas connections for outdoor appliances and heaters, large sliding doors between indoors and outdoors and large rooftop patios with spectacular panoramic views! There’s even room to add a hot tub. The Lower Lonsdale Wallace & McDowell Condos are located at 149 Lonsdale Avenue North Vancouver, just steps away from Lonsdale Quay markets, the SeaBus to Waterfront Station in Downtown Vancouver as well as numerous shops, eateries, coffee stores, banks, services, a five star hotel, local recreational amenities, the Seawall as well as a movie theatre. Brought to you by Staburn Group developers, Wallace & McDowell North Shore condos will feature a boutique low-rise building facing Losndale Avenue on the 100 block where you will find only 64 residences available for purchase in a five storey boutique and historic building. The floor plans at the Lower Lonsdale Wallace & McDowell condos will range in size between 586 square feet to 1,334 square feet. The layouts are expected to be between 1 bedroom to 2 bed and den homes. The spectacular and historic architecture and design at the boutique Wallace & McDowell North Vancouver condos is by award winning Rositch Hemphill and Associates and the sales/marketing is by world renowned Pacesetter. The residential building with retail space on the ground level will be concrete constructed and will give you the best of both worlds: heritage style with modern design features. The street level stores will be boutiques that will blend seamlessly into this vibrant neighbourhood. In addition, for those who register early, you can enter for a chance to win a trip for 2 on the spectacular Rocky Mountaineer! 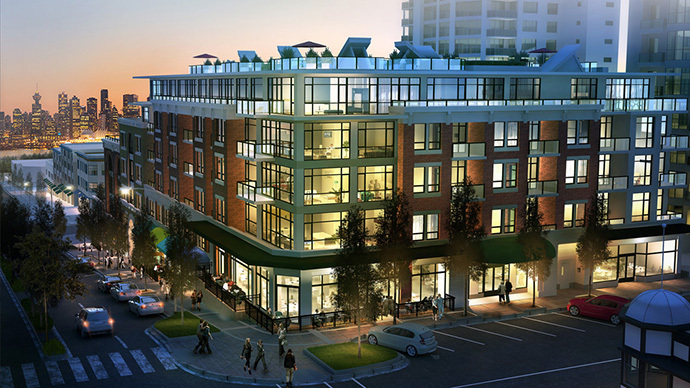 The pre-sale launch for these boutique Lower Lonsdale apartments is expected to be early Spring 2014! You can register your interest on line at www.wallaceandmcdowell.com. Wallace & McDowell: a heritage community that draws on over a century of North Vancouver history with a distinctly modern design and contemporary feel. Past and present, Wallace & McDowell has been impeccably designed to pay tribute to our heritage roots while becoming a cornerstone for Lower Lonsdale’s vibrant future.